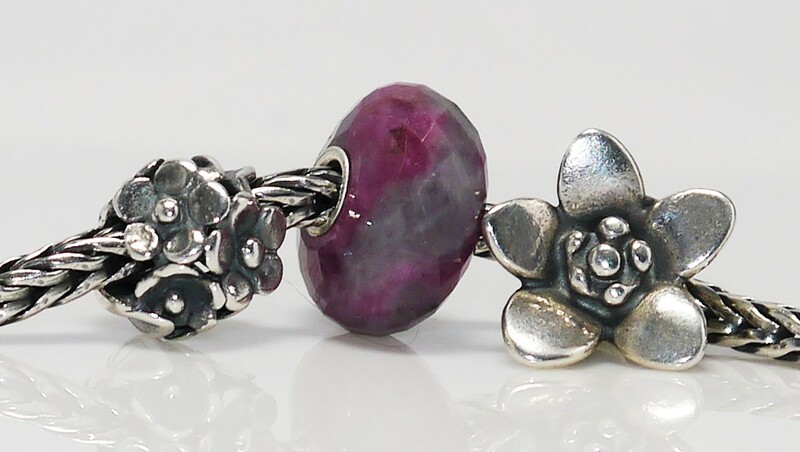 Tomorrow, 15th February 2016, sees the release of Trollbeads Mother’s Day collection for 2016. This beautiful collection of three pieces comprises of a new fantasy necklace, a new silver pendant and a new faceted glass bead. Here are the individual pieces …. 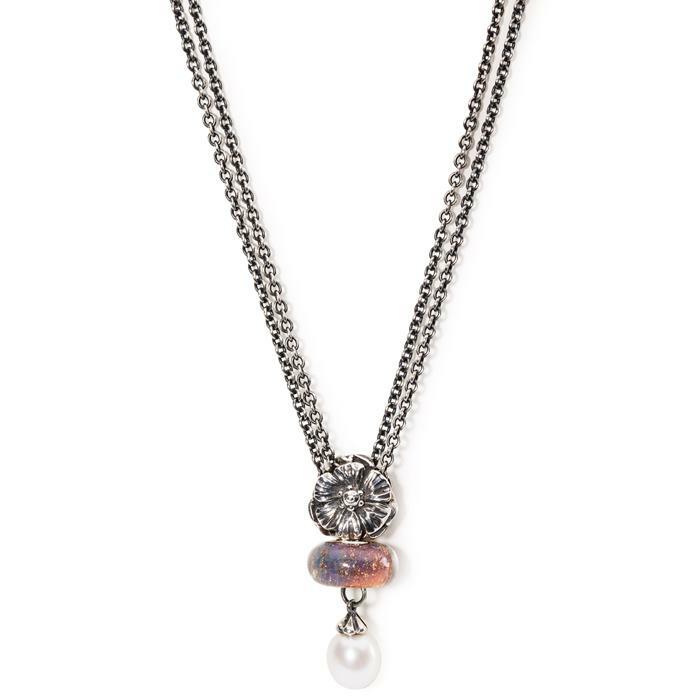 The Rosa Pearl necklace appears to come in two shades of pink, one more peach-pink and one more purple-pink. The Pink Delight Facet ranges in colour from a pale pink to a strong pink which is reminiscent of the Pink Desert bead shade, some appear self coloured whereas others display the ombre shading. All are stunning though. This is a beautiful collection and is likely to appeal to those of you who liked the Limited Edition Emerald Cherry Blossom fantasy necklace collection. I hope to get some live photos up within the next day or two so please keep your eye out for the next post. 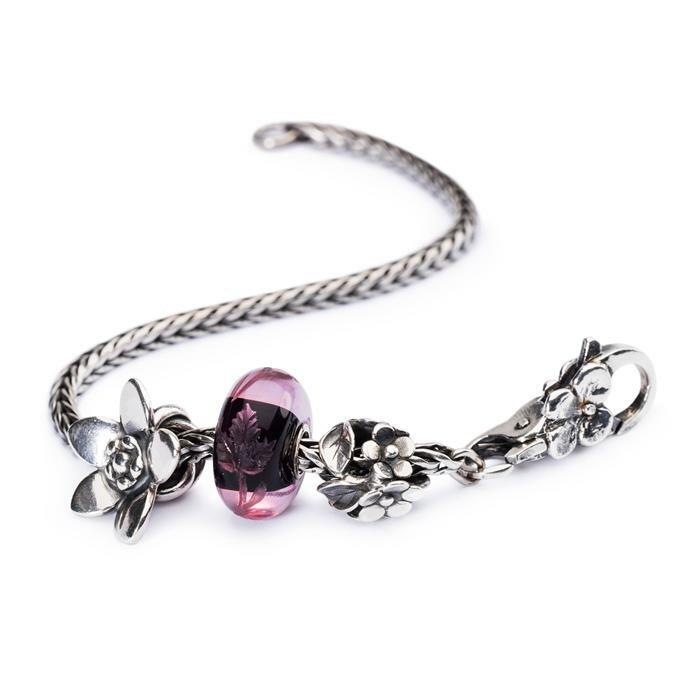 Trollbeads have just released six Mother’s Day inspired completed bracelets and a Fantasy necklace composition. 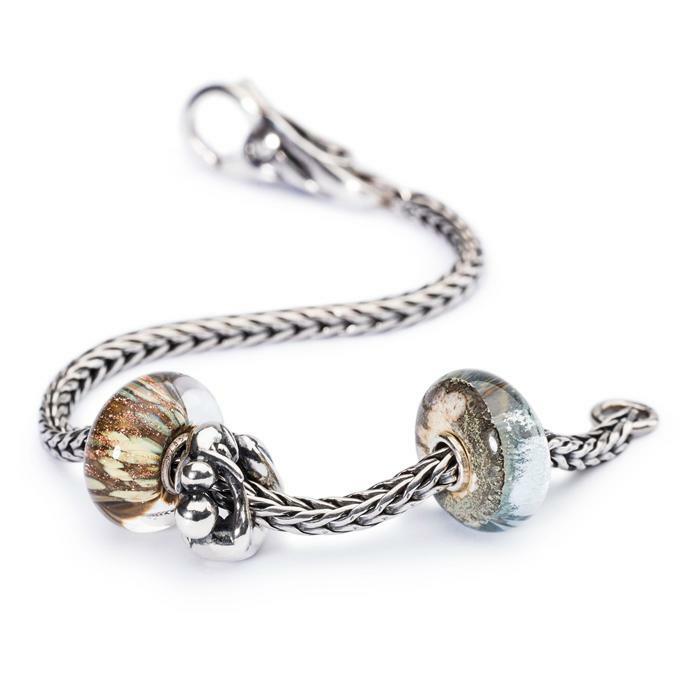 Put together by the Trollbeads Design Group, they all feature pieces already in the collection, carefully selected and put together to make some beautiful pieces. Message of Love includes a ‘silver bracelet’, ‘Engraved Fuschia’, ‘Mom’s Bouquet’, ‘The Messenger’, and a ‘Flower Lock’ (£190). Mother of Three includes a ‘silver bracelet’, ‘White Pearl’, ‘Flowers on Indigo’, ‘Three Sibilings Gold’, ‘Pebbles’, ‘Purple Prism’, ‘Hydrangea’ and ‘Water Lock’ (£959). A Mother’s Hug includes a ‘silver bracelet’, ‘Hugging heart’, ‘Ruby Rock’ and a ‘Plain Lock’ (£145). Grandma Love includes a ‘silver bracelet’, ‘Buttons’, ‘Rosa Pearl’, ‘Ball of Yarn’, ‘Lavender Stripe’, ‘Grandma’, ‘Grandma’s Favourite’, ‘Origami’ and ‘Swan Lock’ (£348). 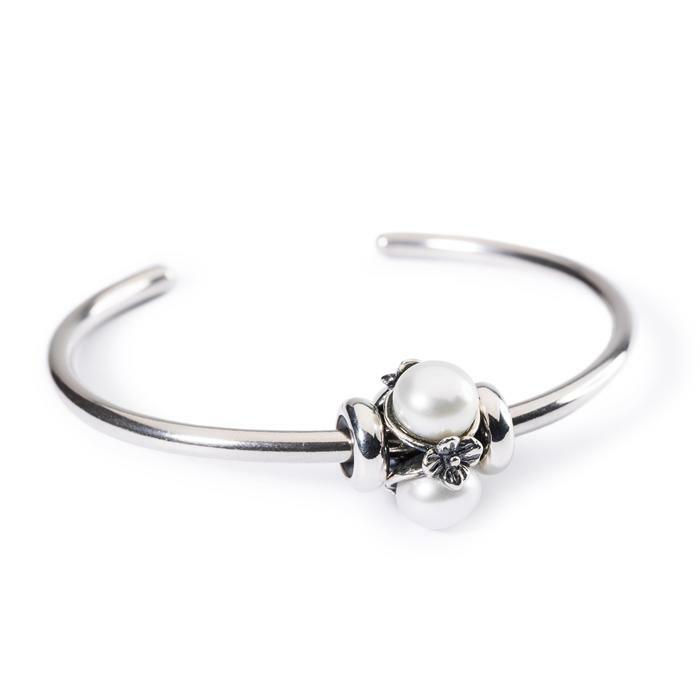 Elegant Mother includes a ‘silver bangle’, ‘Triple Pearl, White’, and two ‘silver stoppers’ (£189). These sets do not give any saving on buying the items individually, but they have been given time and thought to design. Perfect as starter gifts! My favourite has to be ‘Pink and Delicious’ though! 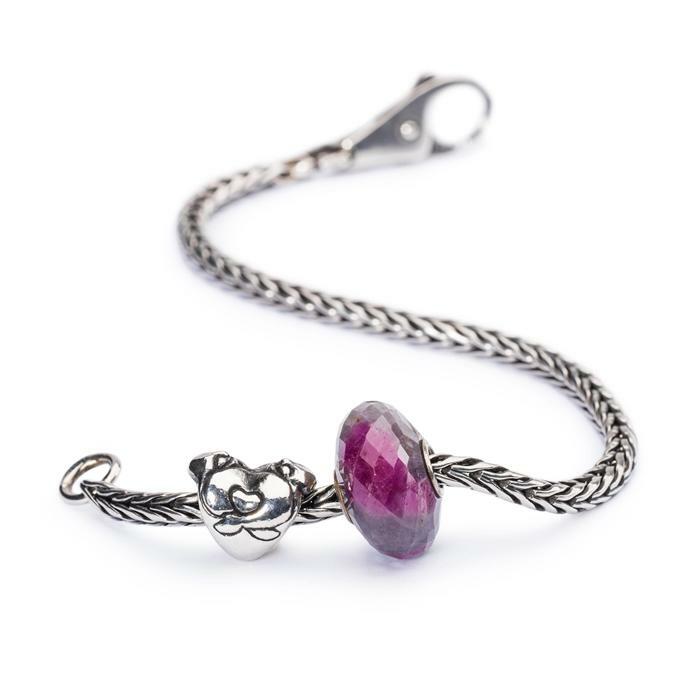 With Trollbeads Mother’s Day 2014 release making its debut in a weeks time, today seemed like a good opportunity to look at Trollbeads Ruby Rock (80116), which formed part of the Mother’s Day 2013 collection. 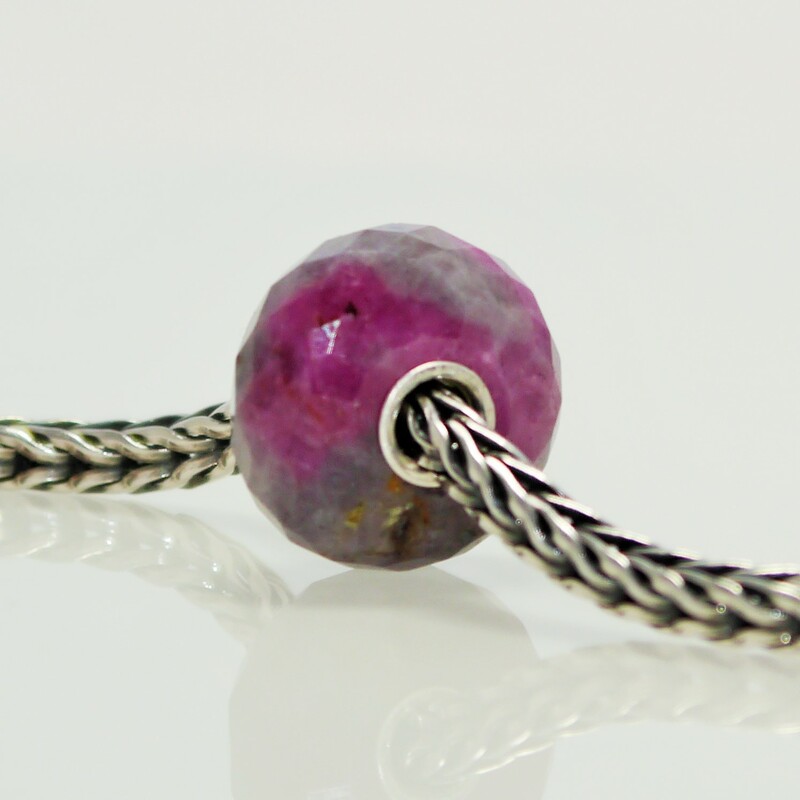 The amount of ruby colouration varies dramatically between beads, and also the shade of grey rock. As you can see, mine is quite a dark version, and I am lucky in that there are quite a lot of ruby inclusions, in some nice intense patches. 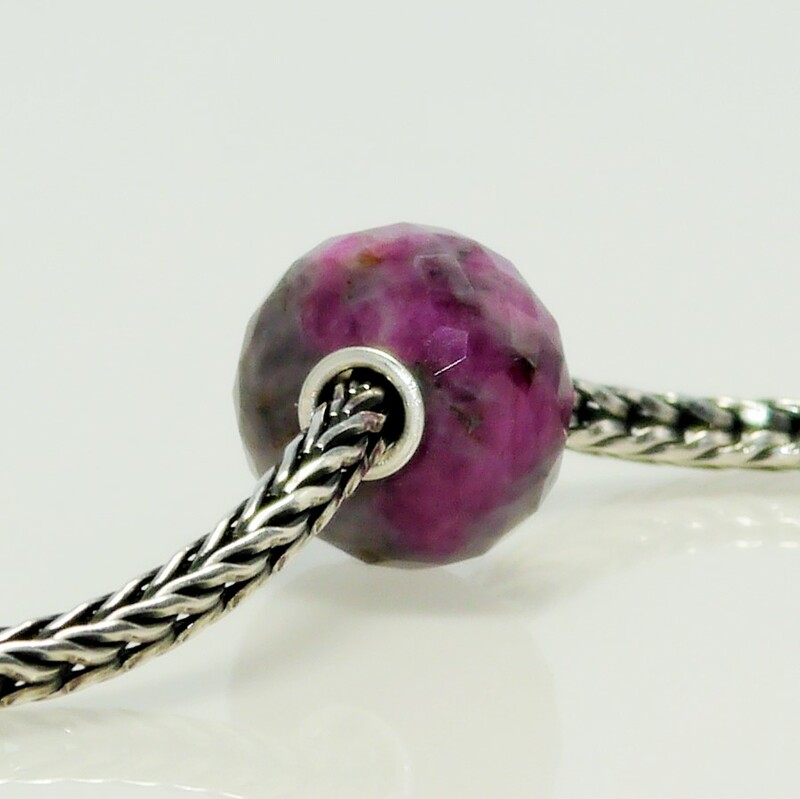 I would love multiple versions of this bead, particularly a paler one, though finding multiple versions that show a significant amount of ruby is not that easy. 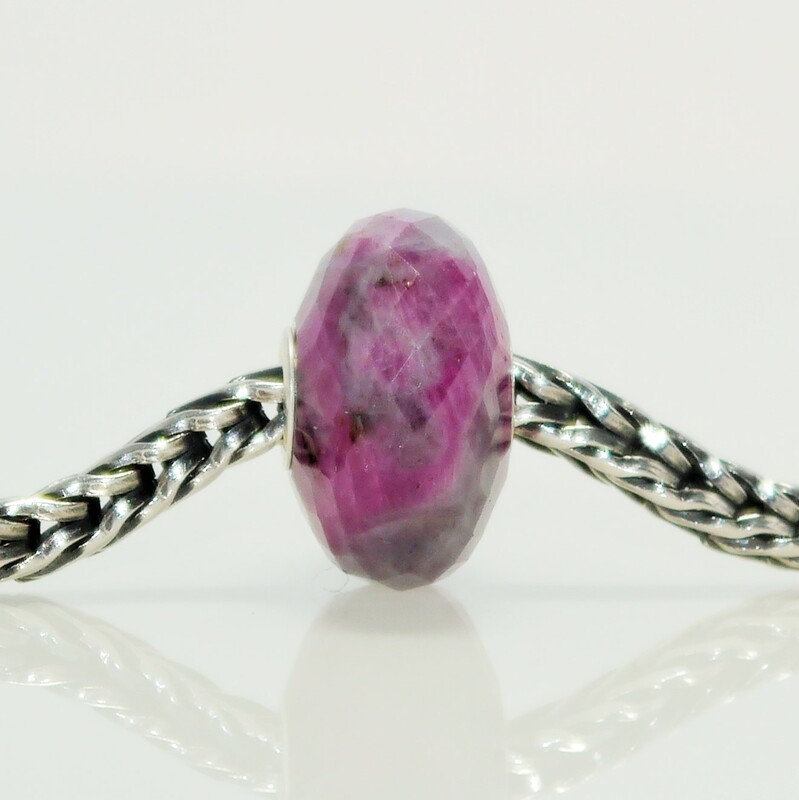 In my opinion, this is a bead that works best on a bracelet with mostly silver or gold beads, and maybe a few neutral or pale pink glass beads, as it draws attention to the ruby patches. It also looks great on a pearl fantasy necklace with a few nice silver or gold beads. 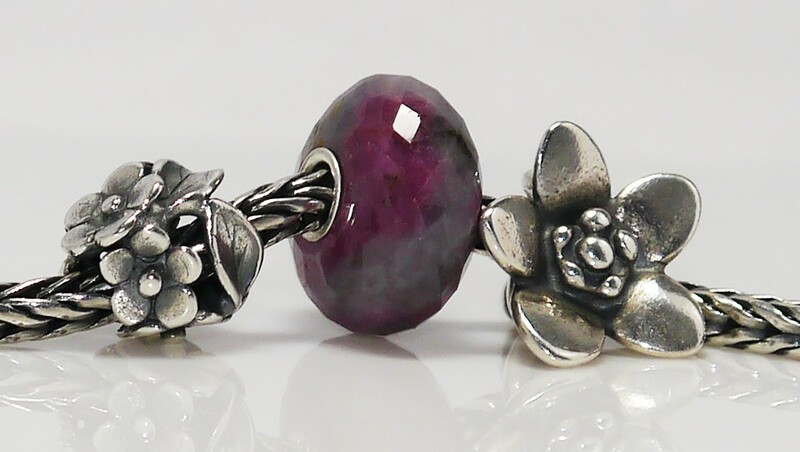 Today saw the first glimpses of Trollbeads Mother’s Day 2014 release – with an official release date of 21st March. The release includes two silvers, a faceted bead and a set of earrings. 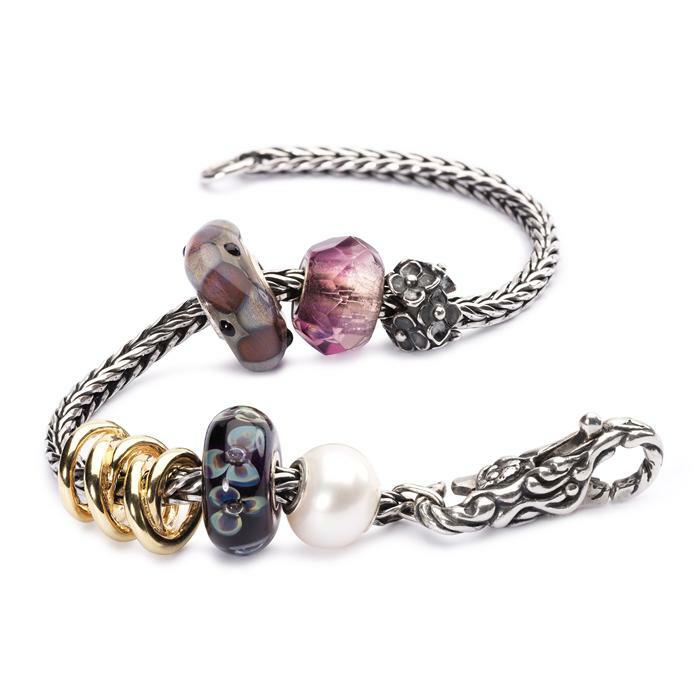 The official names of the beads are: Trollbeads ‘Caring light’ (heart) , Trollbeads ‘Daylight’ (disc), Trollbeads ‘Lavender Facet’ and ‘Daylight Earrings’. The Daylight earrings are the same design to complement the Daylight bead, and as a whole, the set looks great together, from the stock images at least. The Lavender Facet will be a limited edition, so pre-ordering is recommended to secure. With Mother’s Day this year being 30th March, this release comes very close to the actual day, another good reason to pre-order! I am very excited to see what this collection is like in person. As stunning as the silver beads are, they do appear to have a slightly more ‘Pandora’ than ‘Trollbeads’ look to them, but until I actually see them in person I cannot really comment more. What do you think to this release? Are you pre-ordering??? 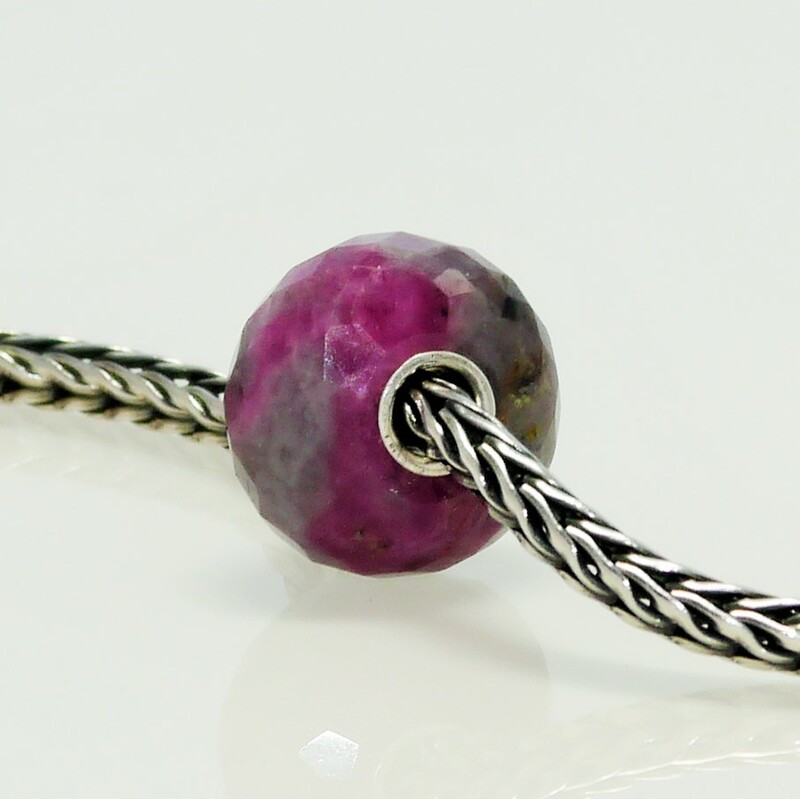 For 2013, the Trollbead’s Mother’s Day release includes two new silvers and a stone. 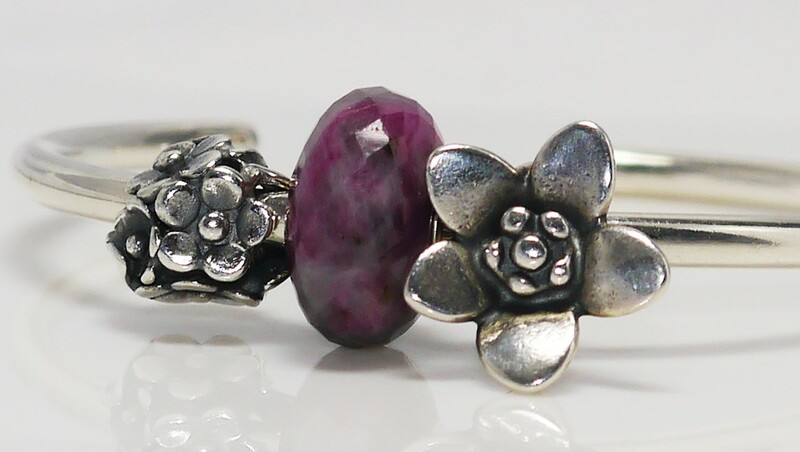 The two new silvers are called ‘The Messenger’ and ‘Mom’s Bouquet’, and the stone is called ‘Ruby Rock’. 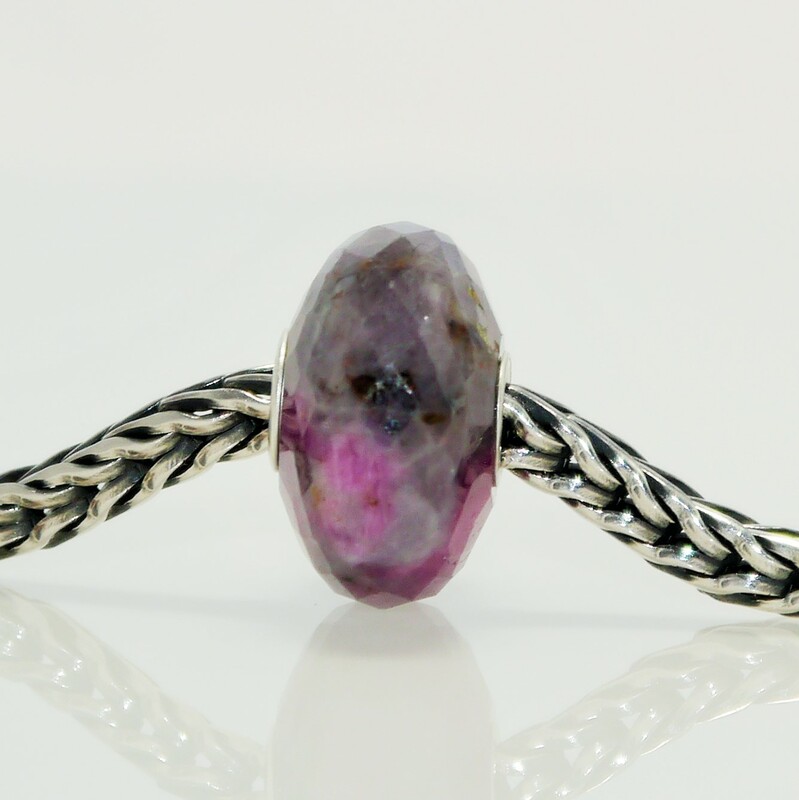 The Ruby Rock is a stone that shows a lot of variation, both in the amount of Ruby showing and the darkness of the stone. 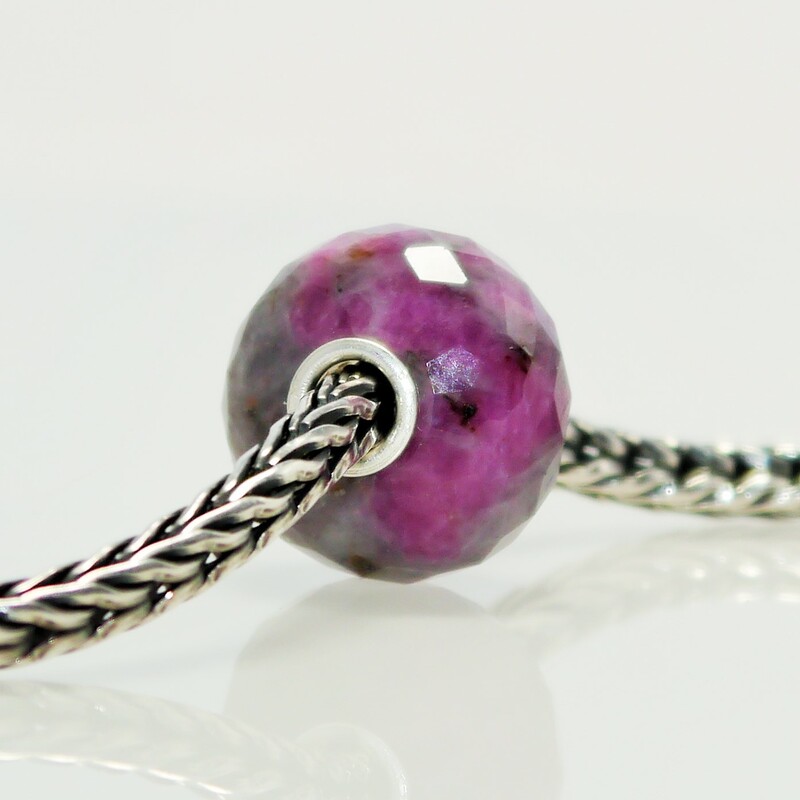 Trollbeads stock image, please do not reproduce without crediting. A lovely release, perfect for Mother’s Day!